Jack Newlon may have been hoping lightning might strike twice in 1952 when he composed and recorded Oriental Rag. His former piano student Tony DeSimone’s recording of his Oriental Blues was now being heard fairly regularly on Ernie Kovacs’ popular shows on WPTZ. Why not capitalize on its (qualified) success? This is, of course, entirely conjecture, but some of the pieces fit. 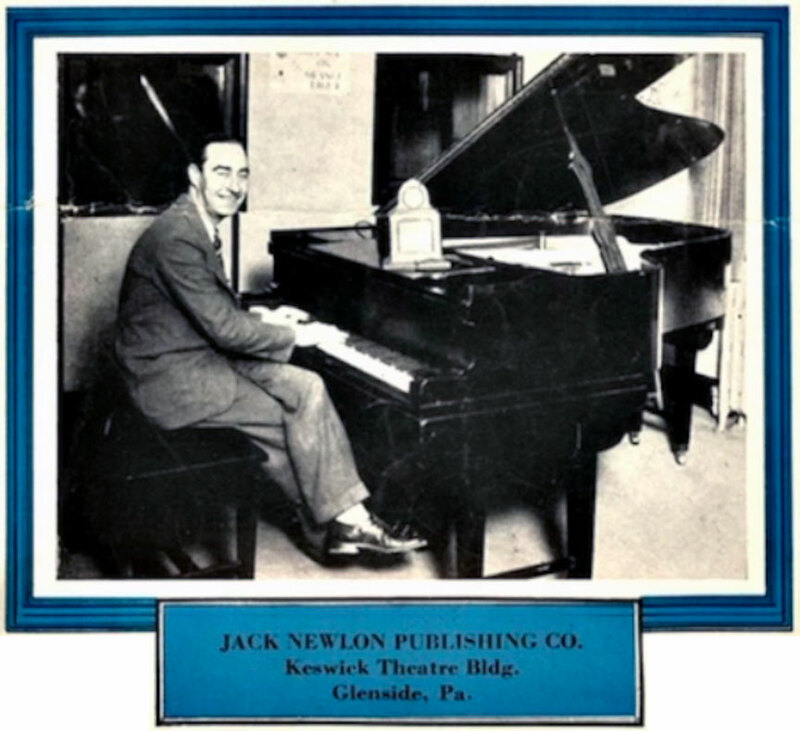 If you’re just tuning in now, you may want to read my previous posts about Jack Newlon and his 1933 Oriental Blues here and here. In my trip down a rabbit hole researching Kovacs’ theme’s composer, a Google search took me to an eBay listing for a 78 rpm record of Oriental Rag, both composed and performed by Jack Newlon. Was this a mis-print and actually a recording of Newlon himself playing the tune that DeSimone and his trio had also recorded for Top Tune? Turns out…it’s not. (Spoiler alert: no one besides me bid on the record). It’s a completely different piece, although one thing it share with the other is the word “oriental” in the title and the fact that neither piece sounds oriental, by 1950s or any other standards. Another search found an entry in a Catalog of Copyright Entries for 1952 in Google Books, in a section of unpublished works. Newlon registered Oriental Rag in February of 1952, and I’d guess this recording happened at some point in 1952. Both this recording and DeSimone’s were on the Top Tune record label. Are there other recordings of Newlon himself at the piano? I haven’t turned up any. The “B” side of this record is of Newlon and vocalist “Murph” Murphy performing the 1919 song Take Your Girlie To The Movies. I’ve just digitized the record and am sharing it here. Hope you enjoy this rare piece of stride piano, performed by its composer. I think you are very generous to share this rare recording which, for all we know, may be a unique copy, by disseminating it this way!